The second half of winter in January and early February are usually the crap shoot months, when movie studios dump their less-than-stellar features that aren’t poised to be hits. A good example of a typically bad January movie is “Replicas,” from the first week of 2019. It’s an amalgam of obviously bad CGI, actors phoning in half-assed performances, stale dialogue, plot holes, and nonsensical endings. But what’s interesting is the three most talked about alleged duds are from actors and filmmakers with a ton of potential, and for whatever reason, they just completely didn’t deliver. 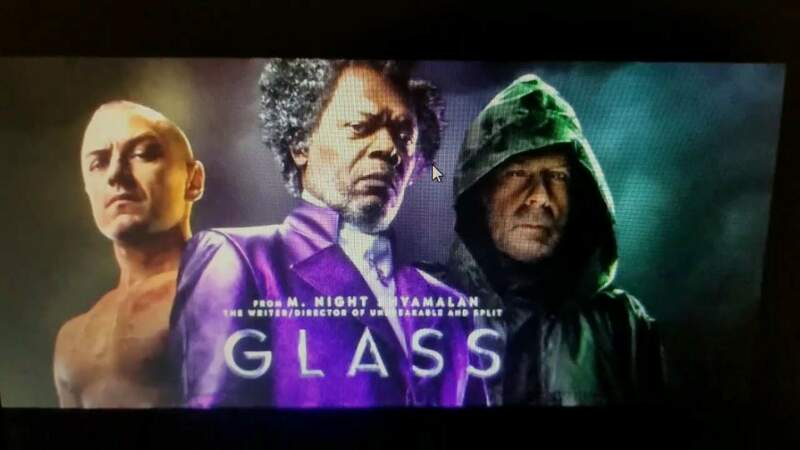 Two weeks after “Replicas” came M. Night Shyamalan’s “Glass,” the follow-up to his previous hit thriller “Split” (2016). Shyamalan achieved success with “The Sixth Sense” (1999) and “Unbreakable” (2000) early on in his career, but quickly became a cliché, and a version of his own ridiculous tropes. “Split” turned out to be a fluke, with most finding the content of “Glass” dull, the third act rushed and out of place, and the appearances by the “Unbreakable” characters unnecessary. Then, only a month after Glass, Steven Knight’s thriller, “Serenity.” was finally released after being pushed back by five months. Knight is the man behind the intriguing character study “Locke” (2013) and the acclaimed TV crime series “Peaky Blinders” (2013- ), but “Serenity” truly has some of the most bizarre plot twists in movie history. It’s hard to pinpoint whether the film is so bad it’s good or just a full-blown bomb. Let’s just hope the “it was all a dream” trope isn’t replaced with “it was all a video game” any time soon. Similarly, writer-director Dan Gilro, the man behind “Nightcrawler,” one of the most praised independent dramas of 2014, released a new effort released last week. So far, “Velvet Buzzsaw” is receiving divisive feedback. While “Nightcrawler” gave a chilling insight into obsessive social climbing in Hollywood, “Buzzsaw” can’t seem to decide if it’s satire or horror. The commentary on the art world is entertaining, but the horror aspects fall flat. What’s even more baffling with these flops is just how many big name stars are attached to them. Actors like James McAvoy, Matthew McConaughey, Anne Hathaway, and Jake Gyllenhaal. Though Shyamalan, Knight, and Gilroy have impressive resumes, it’s hard to believe these are the scripts the actors got and agreed to, considering the level of doomed absurdity. One thing I see people giving “Serenity” credit for, though, in the midst of all the abysmal reviews, is that at least it took a risk. But, sometimes the risk isn’t worth it if you don’t know how to execute it.